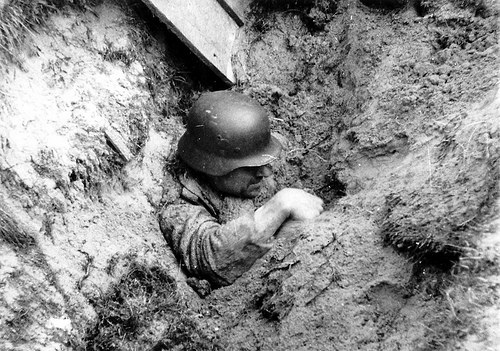 German soldier trying to dig himself out after being buried after an Allied bombardment, Normandy - 1944. 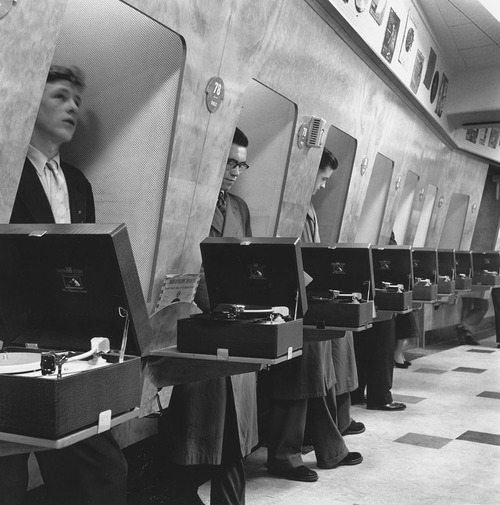 The world before head phones - Customers at a London music store listen to the latest record releases in speaker listening booths, 1955. 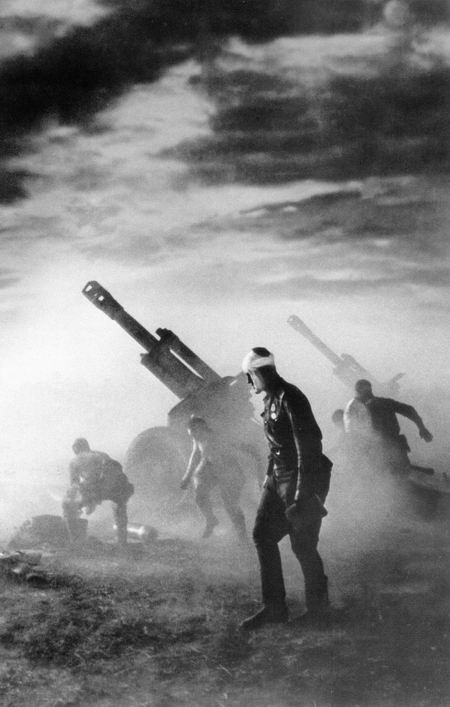 A Wounded Russian Soldier drifts past a 152mm Howitzer battery firing during the Belorussian Offensive Operation, 1944. 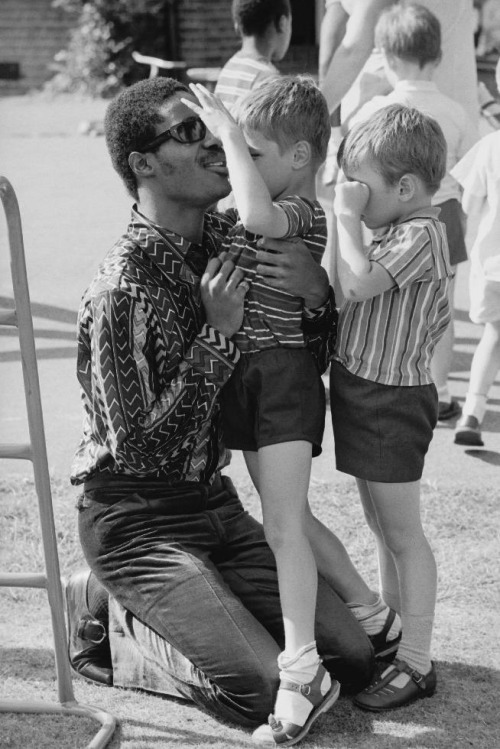 Stevie Wonder visiting a children’s school for the blind in London - 1970. 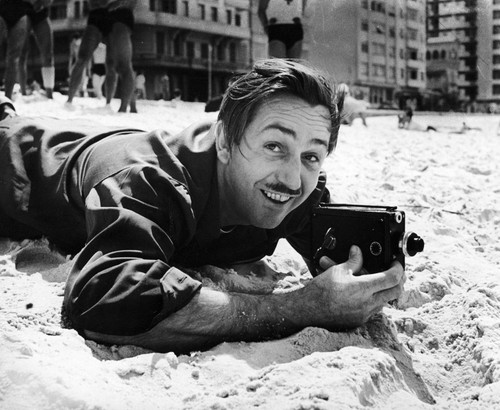 Walt Disney filming on a beach in Rio de Janeiro, 1941. 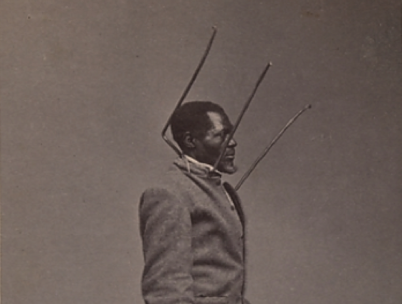 Slave Wilson Chinn was a 60 year old slave who was branded with the initials V.B.M. on his forehead to show proof of ownership of Volsey B. Marmillion, a sugar planter about 45 miles north of New Orleans. Photo by Charles Paxson Wilson, 1863. Soviet Premier Nikita Khrushchev looks at Lincoln, 1959. 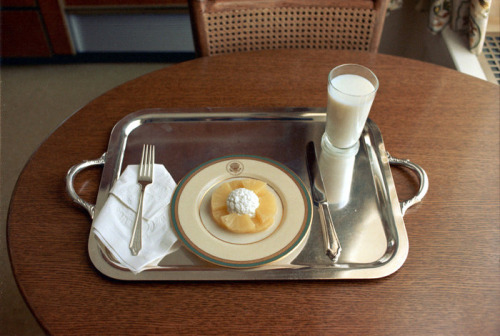 Richard Nixon’s resignation lunch: pineapple slices, cottage cheese, and a glass of milk. 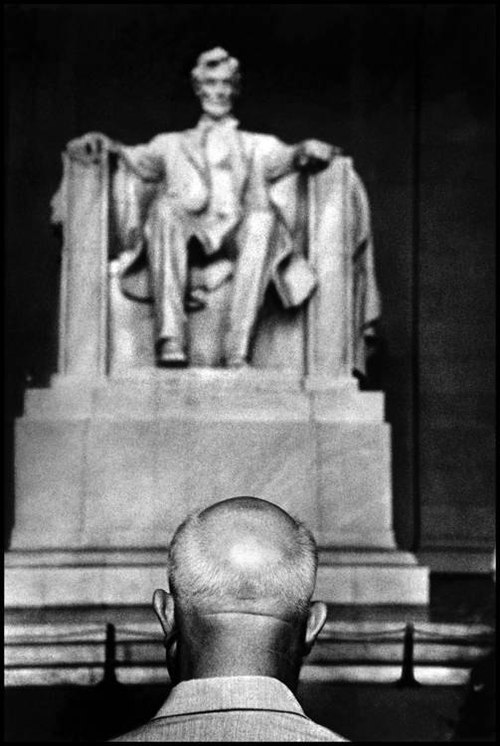 Photo by Robert L. Knudsen, August 8, 1974. 57,000 German POWs are marched through Moscow to display the Red Army’s dominance - July 17 1944. 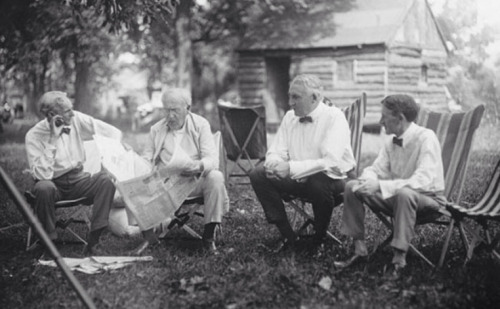 Meeting of the Minds... Henry Ford, Thomas Edison, President Harding and Harvey Firestone - 1921. 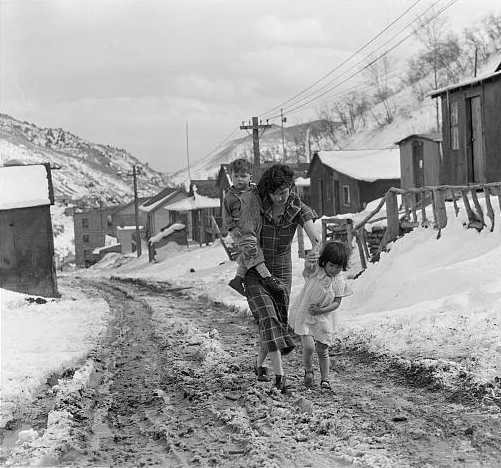 A mother and her children, exposed to winter's chill, make their way up a slush covered street in the coal town of Consumers, Utah during the Great Depression. Photo by Dorothea Lange 1936 for the Farm Security Administration (FSA). 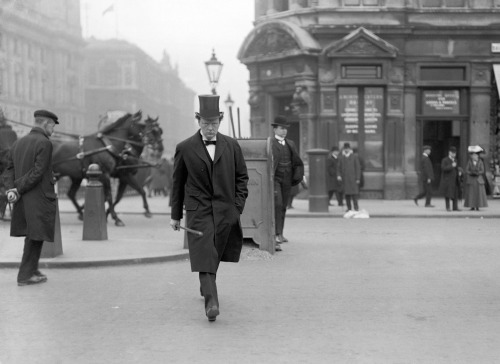 A very serious Under-Secretary of State for the Colonies, Winston Churchill, on his way to the Houses of Parliament, London, 1905. 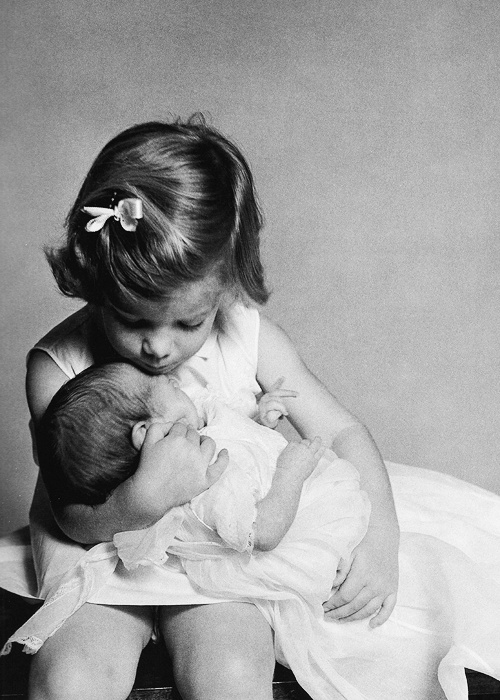 Caroline Kennedy and six week old brother, John F. Kennedy Jr., Photo by Richard Avedon January 3, 1961. 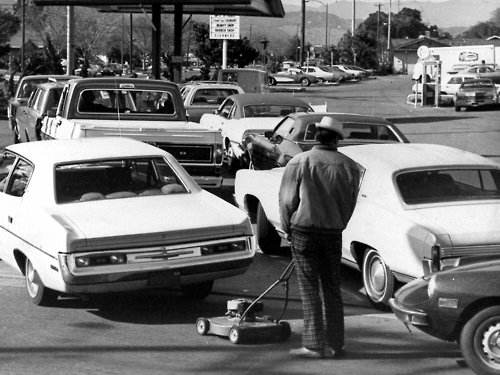 Lineups at a gas station during the 1973 fuel shortage. 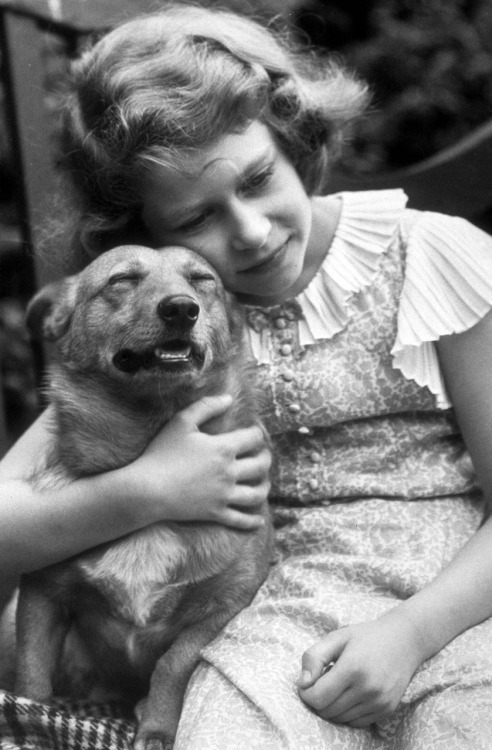 Princess Elizabeth Windsor of the United Kingdom hugging her Corgi, Circa - 1930. 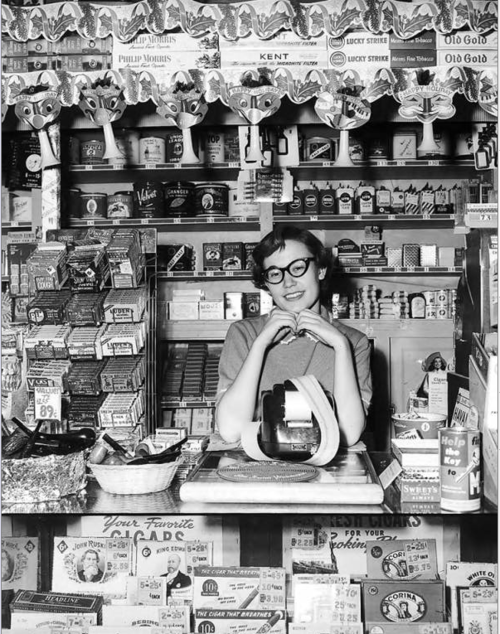 Woman tending a Walgreens Drug Store counter in Boise, Idaho, 1958. 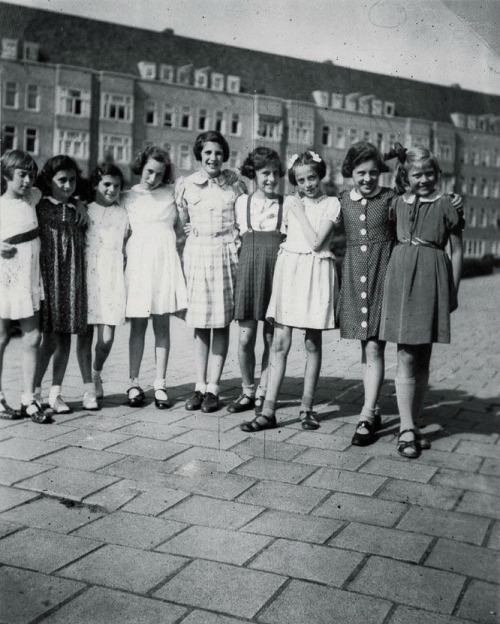 A photo of Anne Frank and her friends who are celebrating Anne’s 10th birthday . 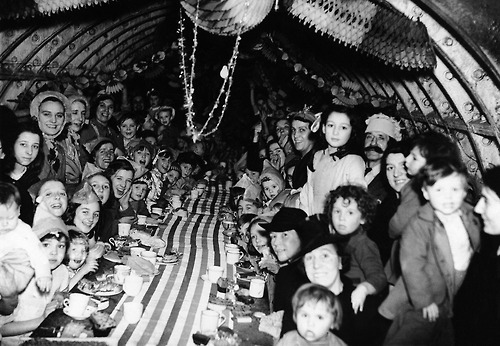 Anne is pictured second to the left in a dark colored dress - June 1939. 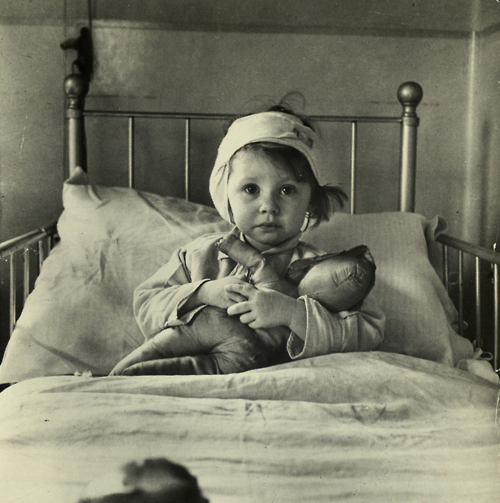 Three-year-old Eileen Dunne, a victim of the London Blitz, recovering in a hospital, 1940. 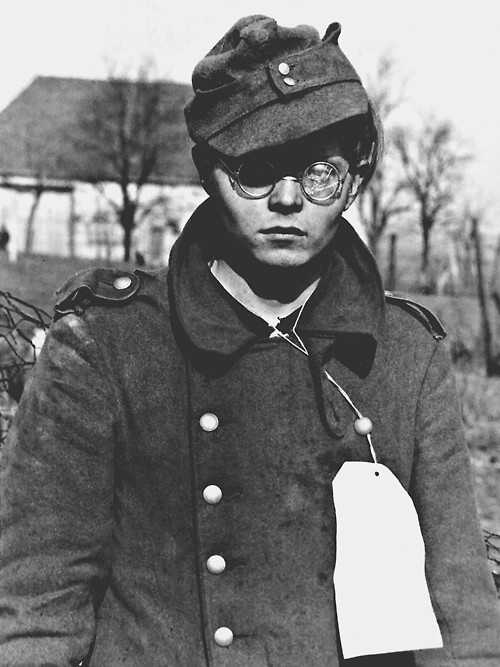 Photo by Cecil Beaton. Claude Monet seated with some paintings as his career was winding down and his eyesight was failing, Circa - 1925. 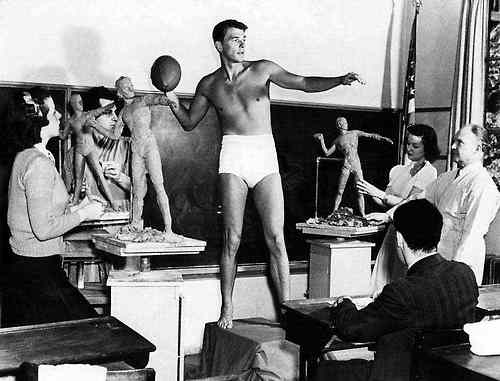 Ronald Reagan poses for a sculpture class at USC as an example of “ideal male physique”, 1940. 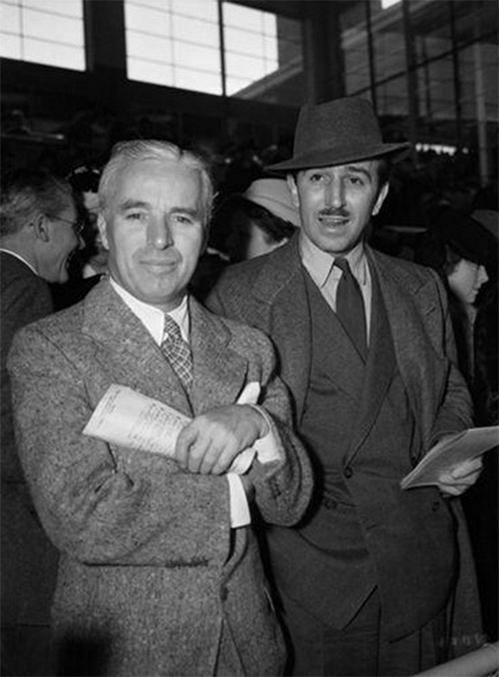 Charlie Chaplin and Walt Disney at the racetrack - 1939. 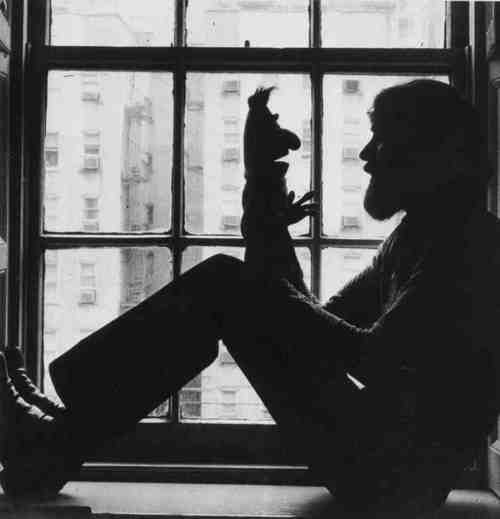 Jim Henson playing with the ‘Bert’ puppet, 1971. 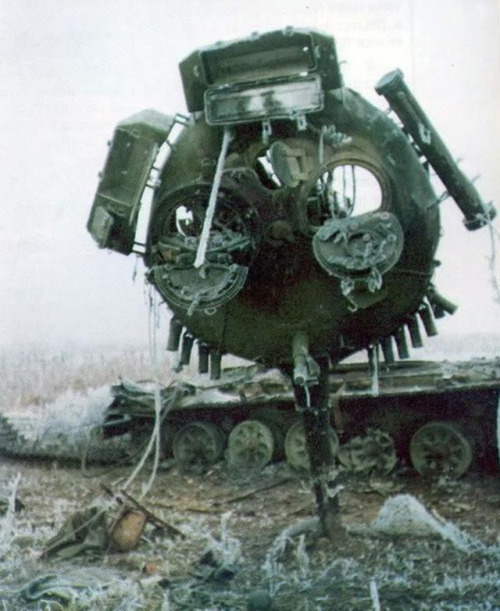 The top gun turret of a Serbian M-84 tank gets lollipopped during the 87-day siege of the Battle of Vukovar, 1991. 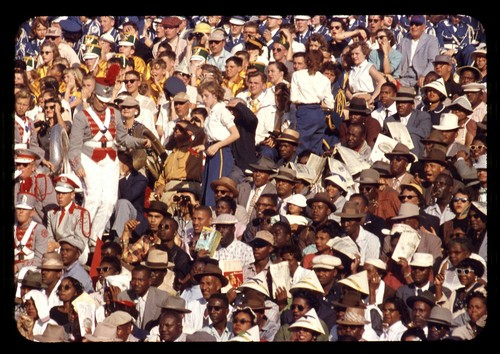 Segregated seating at a college football game - The Orange Bowl in Miami, Florida, 1955. 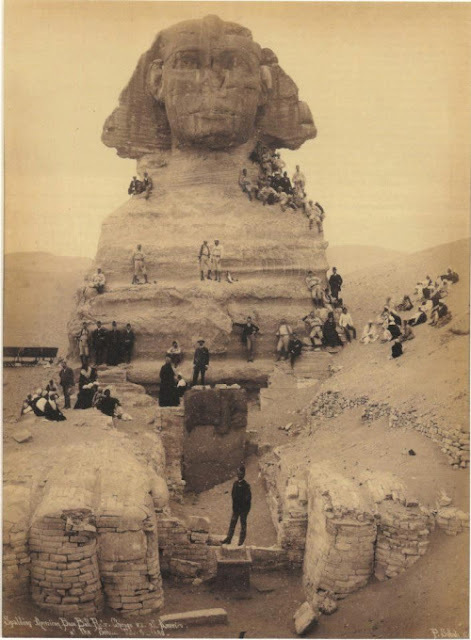 Visitors climb on the Great Sphynx of Giza, Egypt, Circa 1850. 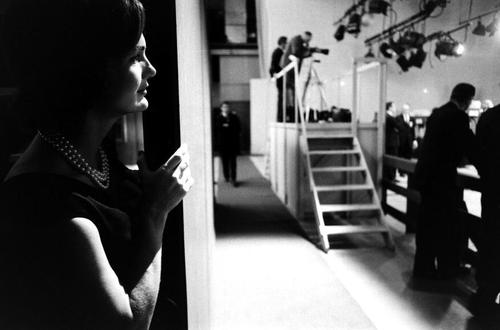 Jacqueline Kennedy backstage watching her husband during the first televised debate against Richard Nixon - 1960. 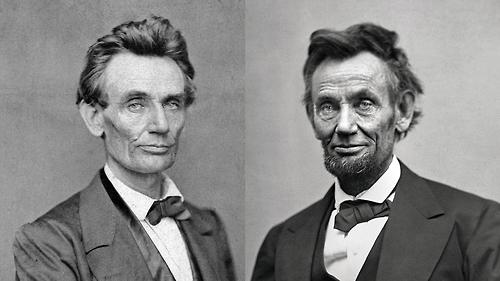 The toll of a Presidency: The first & last portrait photos of Lincoln as President: May 1860 & Feb 1865. 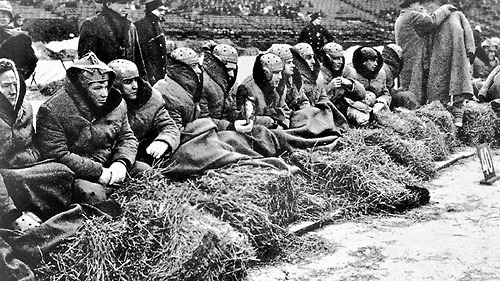 Players trying to keep warm at the 1945 NFL Championship Game. A Photographer uses a backdrop to mask the city’s war-torn remains. 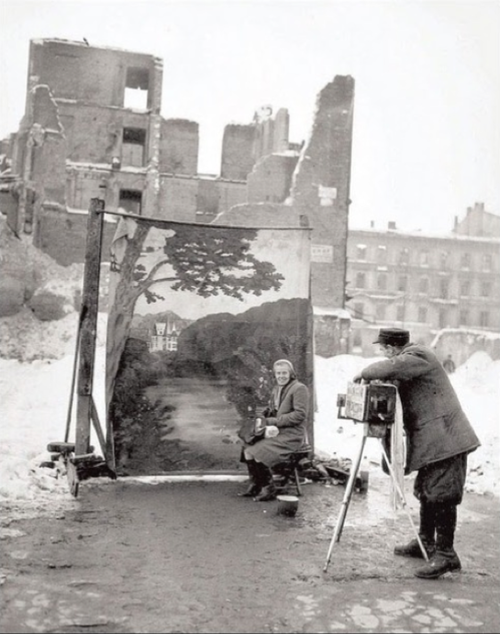 Warsaw, Poland - 1946. 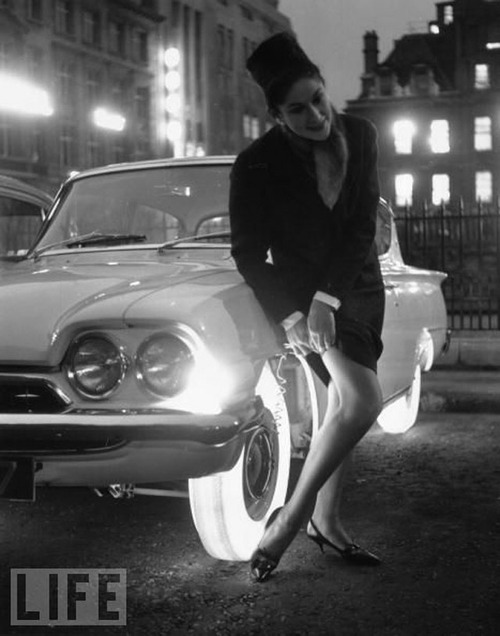 These illuminated tires were developed by Goodyear in 1961 / Photo by Douglas Miller. 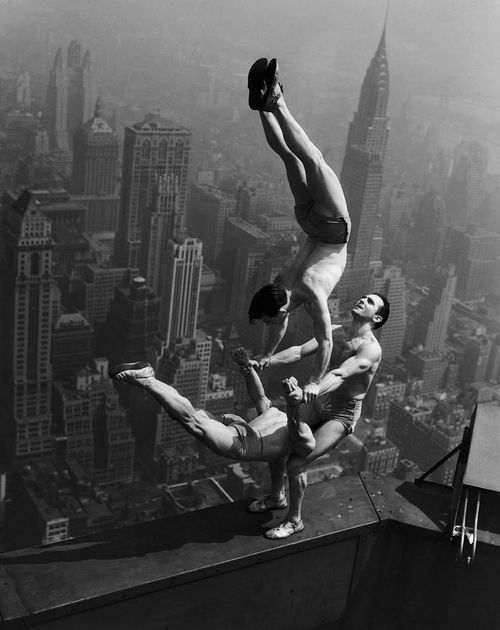 Acrobats at the top of the Empire State Building, possibly to commemorate the opening of the finished building on May 1, 1931. 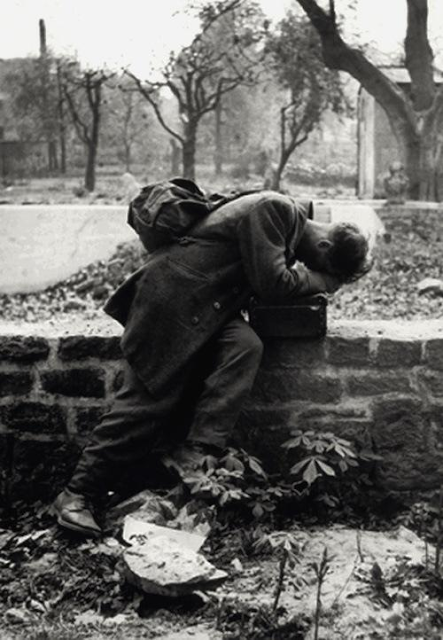 A German soldier returns home only to find his home and family no longer there - Frankfurt, Germany 1946. 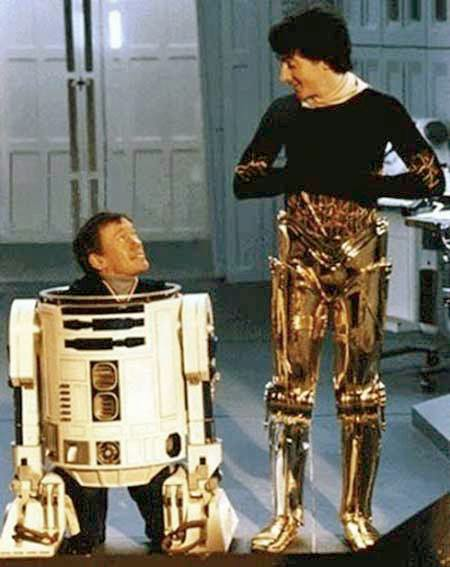 The human components inside Star Wars star droids R2D2 and C3PO, 1982. 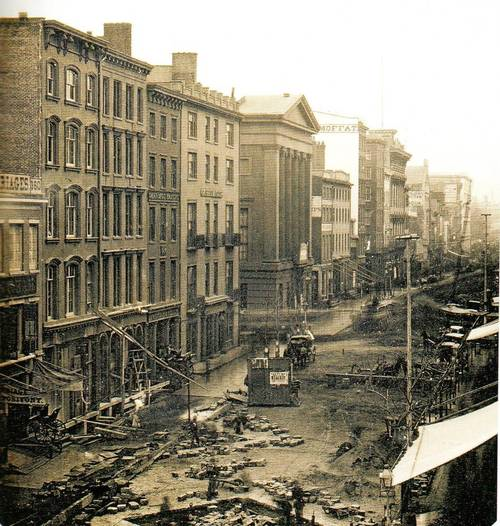 This is believed to be the earliest photograph taken of NYC at Broadway between Franklin and Leonard Streets, May 1850. 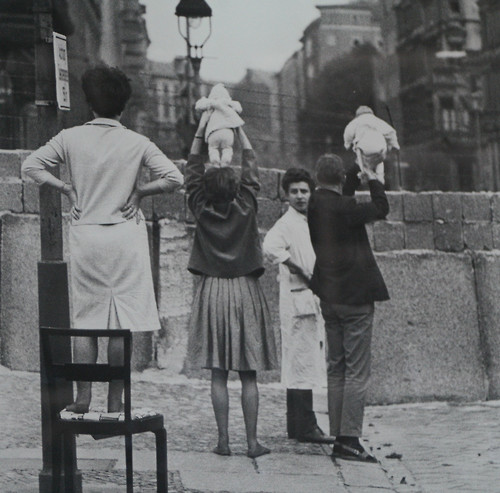 Residents of West Berlin show children to their grandparents who reside on the Eastern side of the wall, 1961. 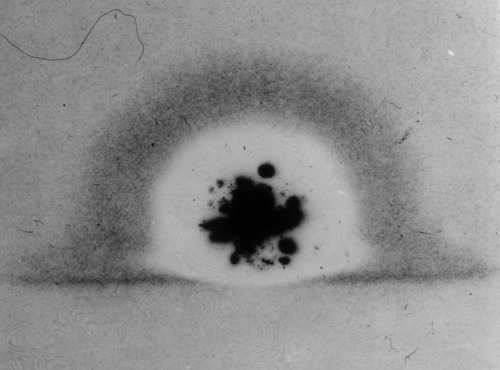 The first light of the Trinity Test, the first atomic bomb detonation, burns through film emulsion. 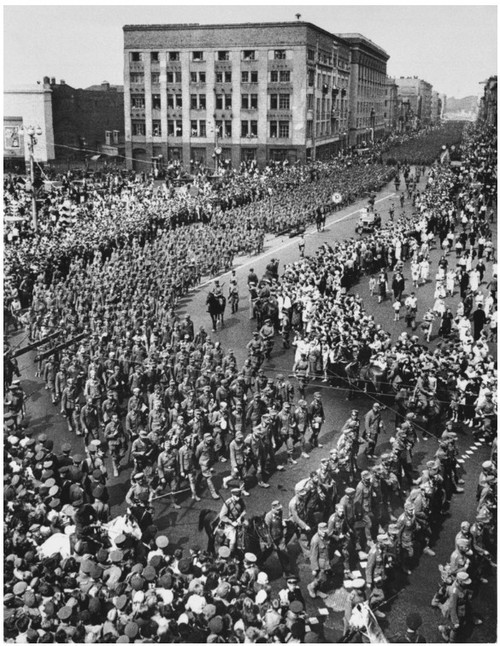 New Mexico, July 16th, 1945. Abandoned ships in San Francisco Harbor (1849-1850) Over 600 ships arrived with the 49ers who were joined by crew members who deserted ship to look for gold. 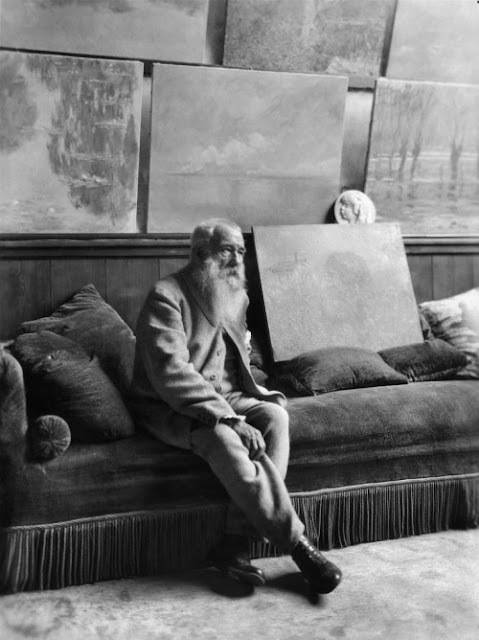 The ships could not find crew to sail them home. Most were towed to shore and recycled for scrap. 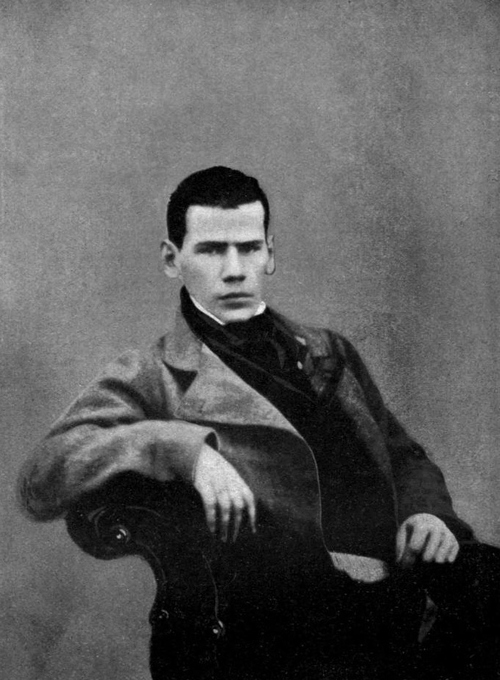 Portrait of a young Leo Tolstoy, Age 20, 1848. 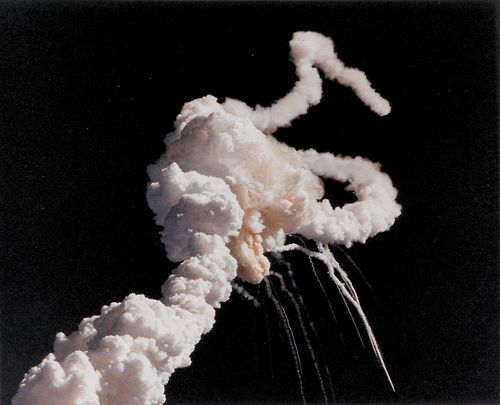 January 28, 1986 - The space shuttle Challenger falls to Earth. 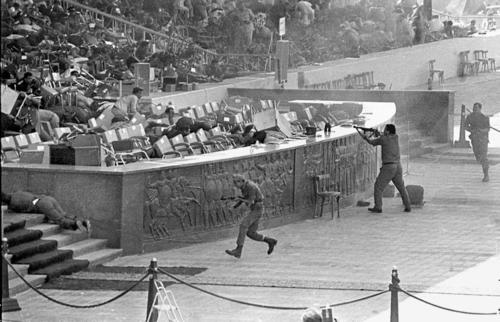 The assassination of President Anwar Sadat, Cairo as he watched a military parade – October 6, 1981. 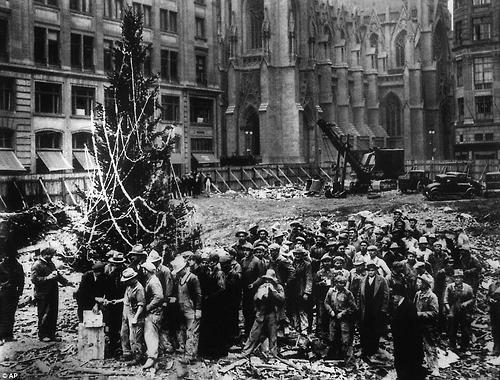 The very first Rockefeller Center Christmas tree, NYC 1931. 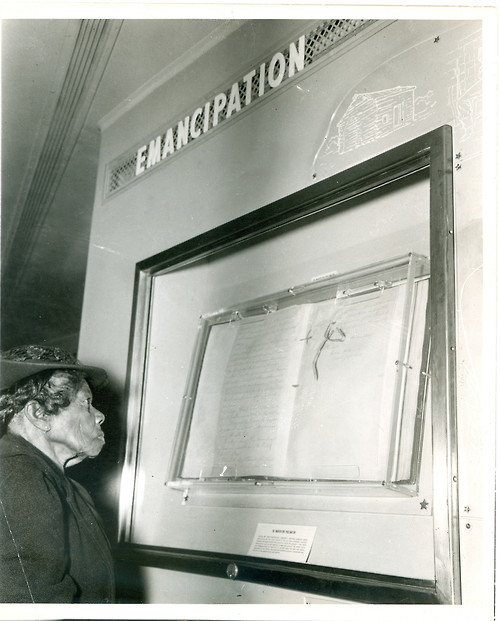 88-year-old Mrs. Sally Fickland, a former slave, looking at the Emancipation Proclamation in 1947, which was signed when she was 3 years old. 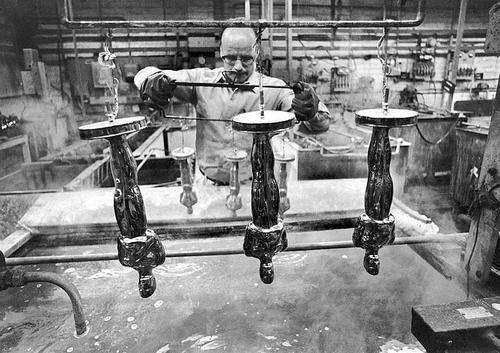 Oscar statuettes in 1970 being plated with layers of copper, nickel and gold by Dodge Trophies Inc. of Los Angeles. John F. Kennedy, a face in the crowd at a college football game in Miami, Florida, 1961. 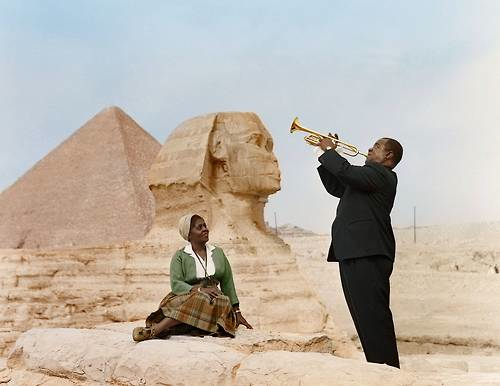 Louis Armstrong plays for his wife in Giza, Egypt 1961. 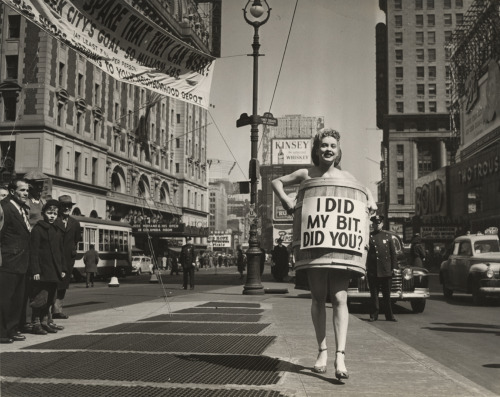 Woman, wearing a barrel, advertising for clothing drive, walks down the middle of Times Square, New York, 1944. 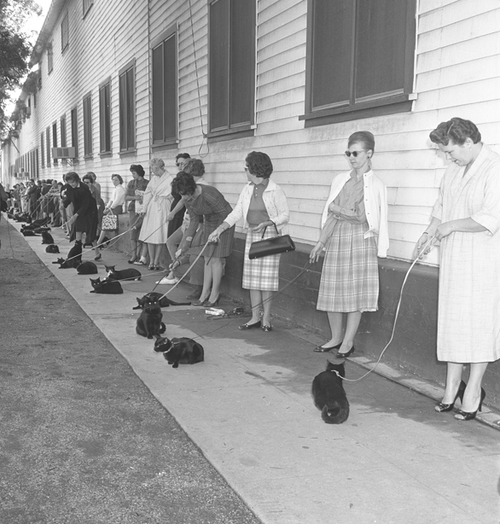 Casting call for black cats. 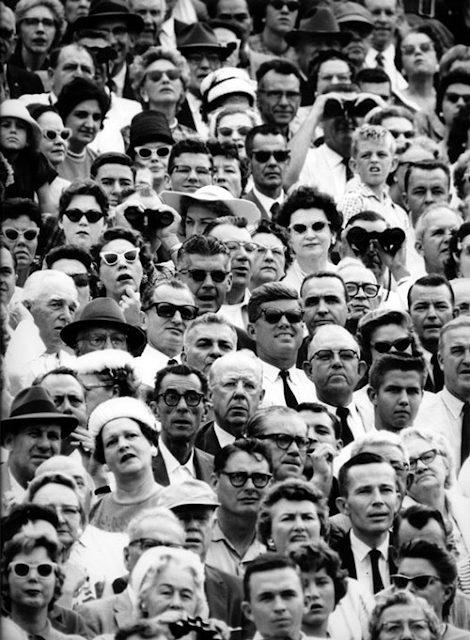 Los Angeles, 1961. 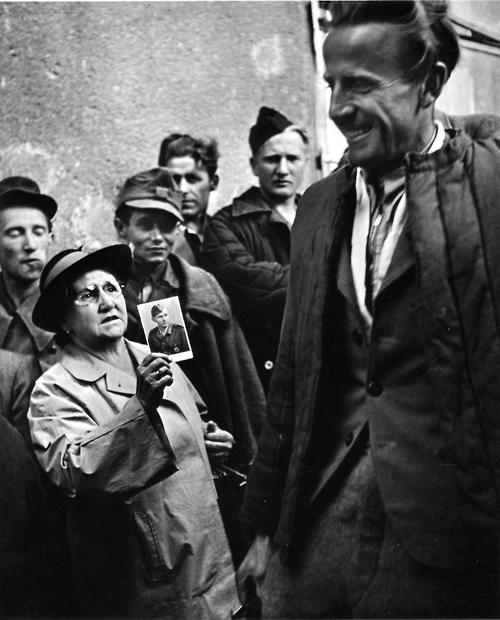 A mother searches for her son as former prisoners of war return to Vienna, 1947. 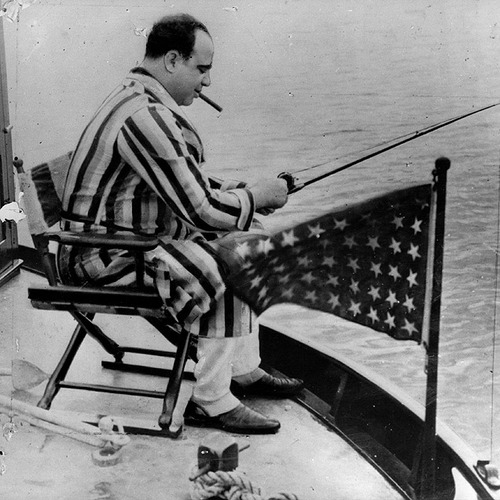 Al Capone fishing on his yacht shortly after his 10 month stint in a Philadelphia jail for carrying concealed weapons, 1931. 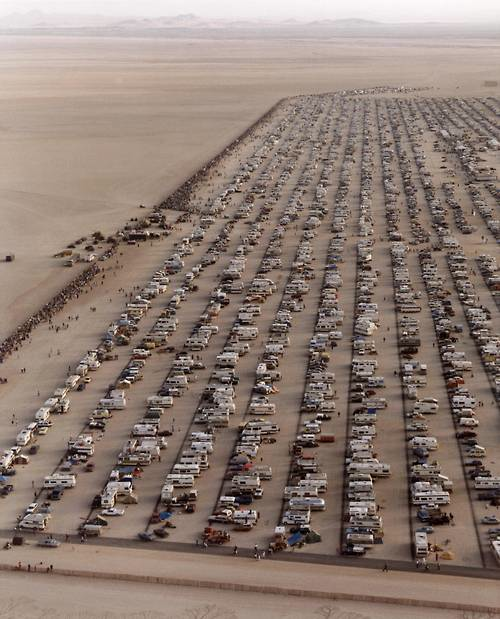 Over 500,000 People Assemble to Watch the Landing of the Space Shuttle Columbia at Edwards Air Force Base, July 4th, 1982. 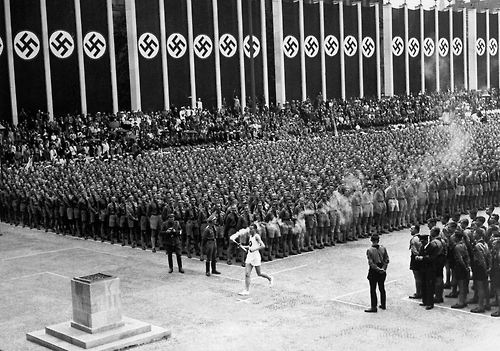 Olympic Torch Relay before the Third Reich - Berlin, Germany August 1, 1936. A couple sharing an umbrella, New York City - 1970. Young German soldier who was taken prisoner by US troops near Forbach, Germany - March 1945.